Mandibles L-060: Partially edentulous mandible with cortical and cancellous bone with two fenestrations. 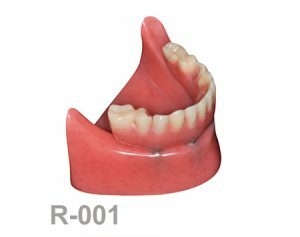 Mandibles L-003A: Severely reabsorbed edentulous mandible with soft tissue. Real Human Size. 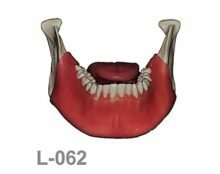 Mandibles L-068B: Mandible with fixed teeth and soft tissue with some defects in its tongue and its half face. Mandible with fixed teeth, with ramus and condyle and with soft tissue. D1 cortical bone. Its tongue and its half face have some defects. 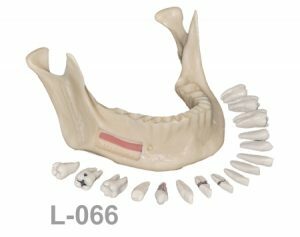 Mandibles L-067: Mandible with soft tissue and removable teeth with different features. 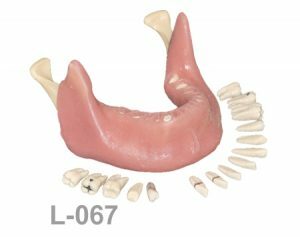 Mandibular model with soft tissue and with removable teeth for extractions, obturations, veneers preparations, root scaling and planing and endodontic treatment. 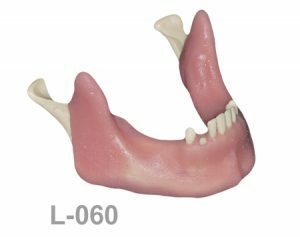 Mandibles L-066: Mandible without soft tissue and removable teeth with different features. 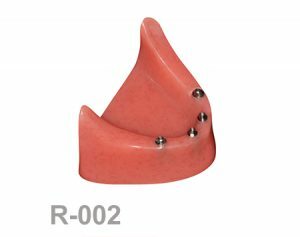 Mandibular model without soft tissue and with removable teeth for extractions, obturations, veneers preparations, root scaling and planing and endodontic treatment. 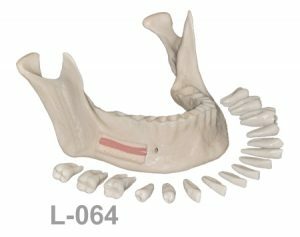 Mandibles L-065: Mandible with soft tissue and removable. Window to see the nerve. 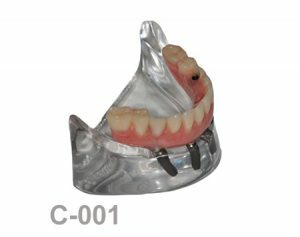 Mandibular model and with removable teeth for extractions. This model has a window to see the nerve. 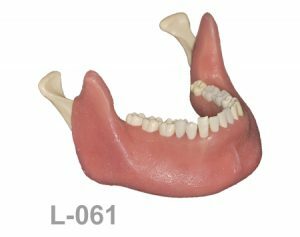 Mandibles L-064: Mandible without soft tissue and removable teeth. Window to see the nerve. 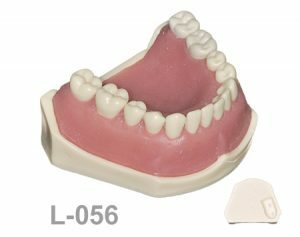 Mandibular model with removable teeth for extractions. This model has a window to see the nerve. 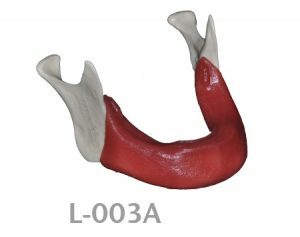 Mandibles L-068A: Mandible with fixed teeth and soft tissue with tongue. Mandible with fixed teeth, with ramus and condyle and with soft tissue. D1 cortical bone and its tongue. Mandibles L-061: Mandibular model with some clear roots, white crown and a window to see the nerve. Mandibular model with soft tissue with second right premolar, left central, first and second left molar with white crowns and clear roots. This model has a window to see the nerve. 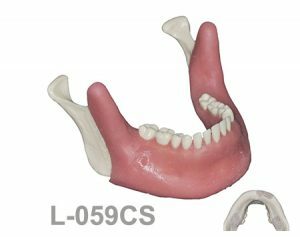 Mandibles L-059CS: Mandibular model with some impacted teeth with cortical and cancellous bone with soft tissue. Mandibular model for extraction teeth with soft tissue. Healed rigdes in canines and third molars with impacted canines and wisdoms with cortical and cancellous bone. 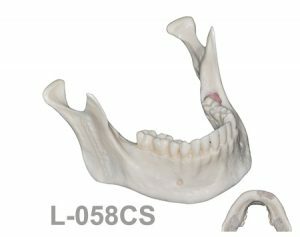 Mandibles L-058CS: Mandibular model with some impacted teeth with cortical and cancellous bone without soft tissue. 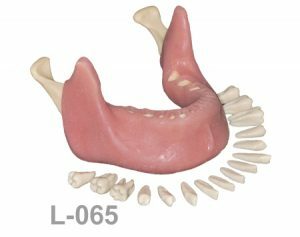 Mandibular model for extraction teeth without soft tissue. Healed rigdes in canines and thrid molars with impacted canines and wisdoms with cortical and cancellous bone. Mandibles L-056: Mandible model with some Ivorine teeth in the left side with soft tissue. Mandibular model with soft tissue and with ivorine teeth; first and second left molars. 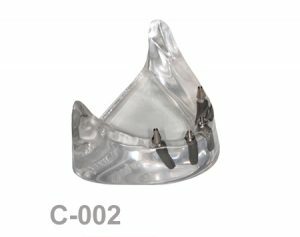 Ideal for teeth preparation for veneers or/and crowns.These teeth are removable and replaceable.